The extension of the school complex takes the form of a restrained, clear building in response to the heterogeneity of the surroundings. The design is based on the principle of continuing the existing building’s underlying idea, resulting in a homogenous overall form which conceals its step-by-step construction history and creates an atmospheric new whole. The complex brief has been broken into simple and logical components. The campus’s compact size has led to the pragmatic connection of all areas and short travel distances within buildings. 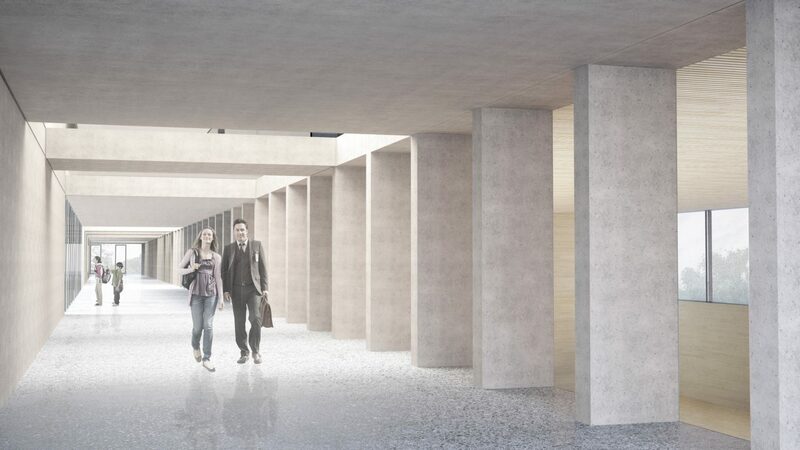 To support this, it was decided to replace both existing sports halls with one elongated structure, which forms a spine joining the row of buildings along Pastorstrasse. 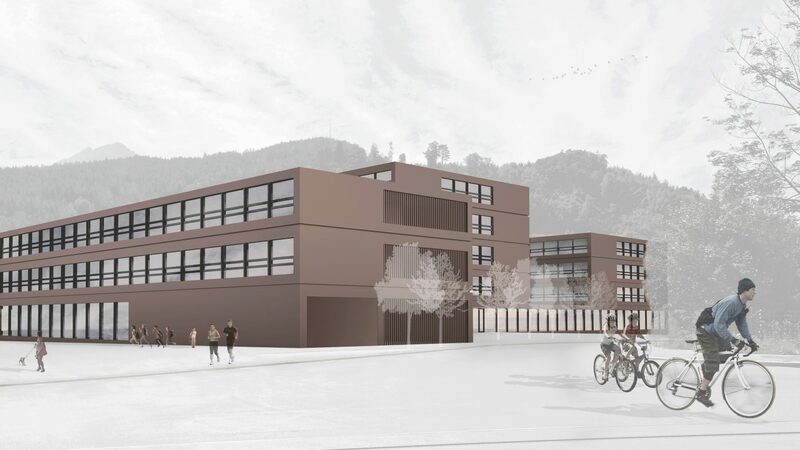 The current secondary school will receive an additional storey, while a new three storey structure at the other end of campus will be built to house the primary school. The five storey building in between remains unchanged. 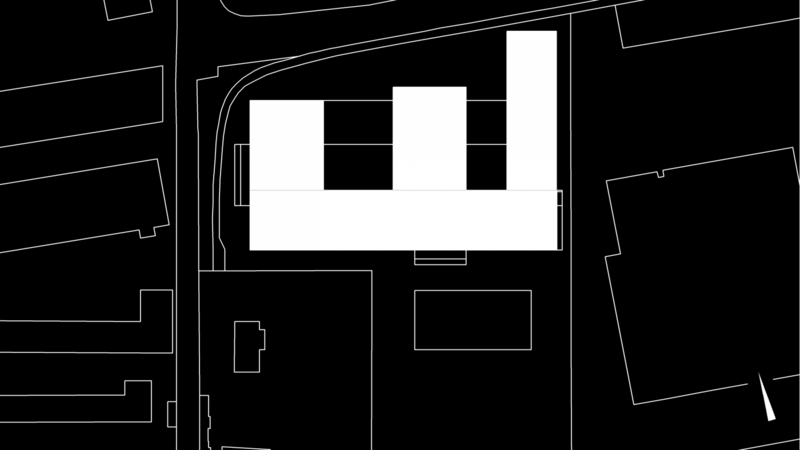 The varying building heights used across campus are composed rhythmically from three-, five- and four storey buildings. Their progression traces the path of the newly built up Pastorstrasse, to which the primary school’s semi-enclosed front yard leads. The determinedly space-efficient campus respects the uses and architecture of its context, while also leaving as much of the neighbourhood’s parkland as possible untouched. The school facility is divided into both horizontal and vertical layers, which facilitate easy orientation and a child-friendly scale both inside and out. The design concept is underpinned by the idea of a continuous plinth. This is to be seen in the clear massing of multiple heights which results in an engaging series of atmospheres in the interior as well as the exterior.